Iora Guesthouse offers comfortable and affordable accommodation in our six-room guesthouse. Each room has a double bed or twin bed. Total accommodation available is for 12 adults in six rooms on a twin sharing/double bed basis and 18 adults in 6 rooms on a triple sharing basis. 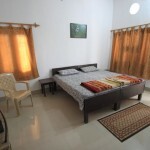 Each room has an attached bathroom, shower with running hot and cold water and western-style toilet facilities. The rooms are spacious and comfortable without being ostentatious. 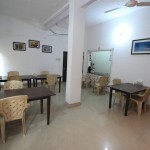 Meals are served in the small dining area. We do not have room service, except when the guest is not feeling well. Early morning tea/coffee is served in the room. Meals follow a fixed menu and are mostly Indian cuisine prepared after consulting the guest about their food preferences. Drinking water served during meals and available in the rooms is processed through an Aquaguard Filtration System. Bottled water is available on request. There are no telephones or inter-com in the rooms to distract the guest. 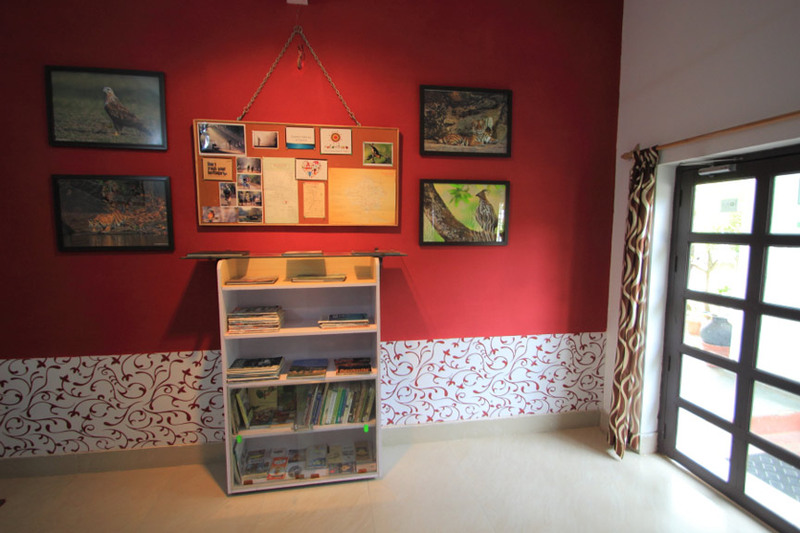 A small but growing library with books on flora, fauna and natural history pertaining to our region are also available in a corner of the dining area. There are also magazines on Travel & Photography. We are not licensed to serve alcoholic drinks and beverages. However, we have no objection to guests who bring in their own supply of alcoholic drinks and beverages for consumption in the privacy of the rooms. Here are some of our other services. We also provide an efficient pick-up facility from the train station or bus stand. So don’t be worried if you are traveling alone or are new to the place. Do let us know the place and time of arrival, we will keep ourselves updated about any changes in the scheduled time and arrange for your safe arrival at our guest house. We make appropriate arrangements for tourists who intend to visit different sites in Bharatpur and experience its beauty. We provide active assistance in planning and rent out cars for any journey to be undertaken by our guests. Information regarding any long route journey by train, or plane which needs prior reservation can be arranged if we are informed about it in advance. Even short notice reservation requirement can be fulfilled on extra payment.